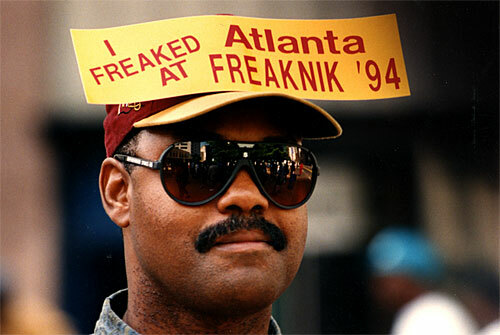 Browse > Home / Other Events / Freaknik Atlanta 2010?? WE DO NOT NEED THE MAYORS SUPPORT FOR THE OFFICIAL FREAKNIC 2010 BECAUSE WE ARE NOT HAVING EVENTS AT PUBLIC PARKS- ALL OF OUR EVENTS ARE AT PRIVATE VENUES… HOWEVER, YOU (LAW ABIDING CITIZENS) HAVE THE RIGHT TO HAVE COOKOUTS AT PUBLIC PARKS. PARK PERMITS ARE NECESSARY IF YOU ARE HAVING EVENTS IN PUBLIC SPACE- HOWEVER, SINCE WE ARE NOT MANAGING OR ORGANIZING ANY EVENTS IN PUBLIC SPACE… WE DO NOT NEED PARK PERMITS.